Welcome to the Motorcycle Insurance Center. 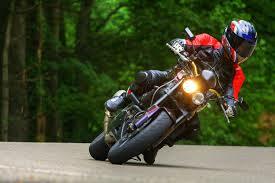 Here you'll find a wealth of information about motorcycle insurance which includes tips on keeping your rates low, coverage explanations, geo-specific trends and news, and much more. Our Personal Insurance Center gives you the expert knowledge you need for Auto Insurance, Homeowners Insurance, RV Insurance, and Umbrella Insurance.